Mets 2017 1st round pick, drafted 20th overall. Peterson arguably has the best control and slider in the Mets farm system. His fastball can tops out at the low 90s, but looks faster due to his extension. Scouts love his deceptive slider that fools left handed batters. He can induce plenty of ground balls (64% of hit balls) and has only given up 2 Homeruns in 130.5 innings. Peterson has the upside of a number 3 or 4 starter. He will probably start the season where he left off at Advance A STL and work his way up to Binghamton AA by the end of the season. A Stony Brook native drafted in the 1st round of 2016 by the Mets, 31st overall. He required Tommy John surgery which delayed his pro-debut to 2018. He made a good debut for someone coming off an injury, earning a promotion to STL. His ceiling is probably not as high as Peterson, but he does project to be a number 3-4 starter in the MLB someday. It will be interesting to keep an eye on him and see how he does his 2nd year of pro ball. Kay is likely to start the season in STL A+. I wouldn’t be surprised if he ends the season with a few AAA innings under his belt. Now that Jarred Kelenic is gone, Ronny Mauricio has the highest ceiling in the Mets farm system. 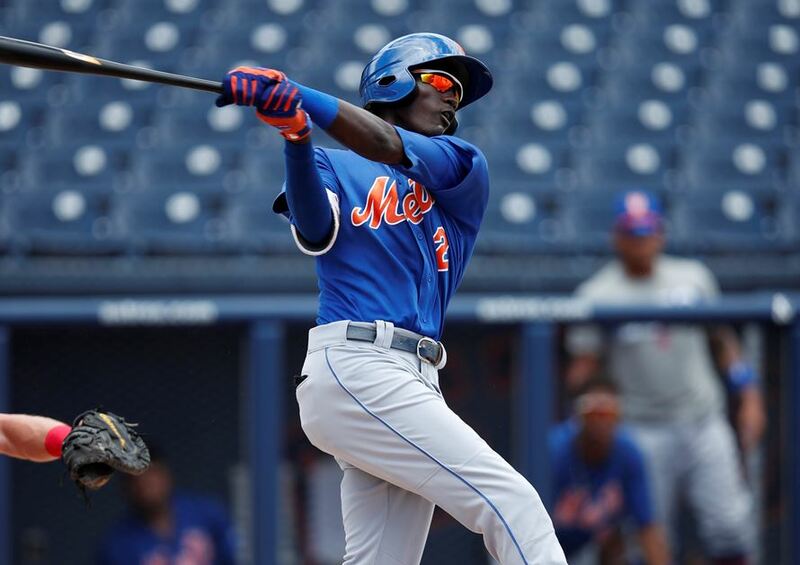 Even though MLB has him ranked as #6 on the Mets farm, many think that he should be the Mets third best prospect on the farm. The switching hitting 17 year old SS has a nice set of tools (Hit: 50 Power: 45 Run: 50 Arm: 55 Field: 60) and is probably going to develop more power as he matures. He had a pretty good debut and I expect his stock rise next season. Ronny will probably play short season A ball next year with the BK Cyclones. Mets Prospects #7 Thomas Szapucki LHP, Mark Vientos 3B, Desmond Lindsay OF. Next Are the Mets about to move Travis d’Arnaud?